If you have not heard about IFTTT, then this guide is for you. This guide is available to download as a free PDF. Download The Ultimate IFTTT Guide: Use the Web’s Most Powerful Tool Like a Pro now. Feel free to copy and share this with your friends and family. The key to unlocking the creative potential of our existing digital tools might be to build a service that simplifies and consolidates the way those tools can be connected. The best thing about IFTTT? You don’t have to be a technological whizkid to use the automation. Most of the magic is already baked for you. Read on to discover all of its secrets. What is IFTTT Anyway? | Why Should I Use IFTTT? | What Can IFTTT Really Do For Me? What Are Services? | What Are Applets? | How Do I Create an Applet | Can I Use Pre-Made Applets? | Now What? 3. The Cookbook: Which Applets Are Best? 1.1 What is IFTTT Anyway? IFTTT is an automation service that will enable you to connect services so that, when something happens with one service, a trigger goes off and an action takes place automatically on the other. For example: let’s say that you are a photography fan who uses Instagram How to Use Instagram for Photography Inspiration (And Who to Follow) How to Use Instagram for Photography Inspiration (And Who to Follow) Check out these 10 famous photographers from all over the world who regularly share their creative content on Instagram. If you enjoy art and aesthetic beauty, you're going to be impressed. Read More constantly throughout the day. 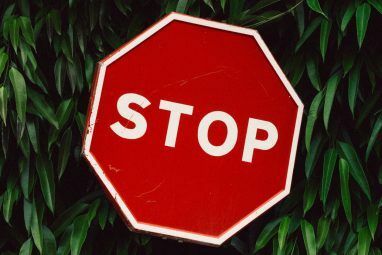 You love taking photos with your mobile device, touching them up and sharing them for everyone to see. Your followers seem to love the photos, so you think that maybe you’d like to get a bit more serious about this whole photography endeavor. We’ll get to photography-specific examples before this introduction is over, but the uses certainly don’t stop with photography. In fact, I would recommend that you give IFTTT a try regardless of your walk of life. It’s why I’m outlining uses for everyone – from artists to students to professionals – in this guide. 1.2 Why Should I Use IFTTT? Most people nowadays spend hours in front of the computer for myriad reasons. Some of them like to watch videos, download music, read useful articles and do other fun activities. At the same time, using the Internet has increasingly become a part of the average person’s work life. Whatever the case may be for you, you will eventually ask yourself if there’s a way to do the more repetitive tasks automatically How to Automate Microsoft Office Tasks with IFTTT Recipes How to Automate Microsoft Office Tasks with IFTTT Recipes IFTTT, the automation service that will complete an action once another condition is met, now has 50 task recipes for Microsoft Office. We show you how it works and offer a selection of recipes. Read More . This is where IFTTT comes into play. Using the tools laid out in this guide, you’ll be able to save enormous amounts of precious time that you can use as you see fit later on. If you’re an iOS user, you can also get robust automation tools using iPhone Shortcuts. Also, if you’re an employee who is looking to automate some of her work, this will allow you to do that without so much as breaking a sweat. Yes, IFTTT could give you an edge in your career as well! 1.3 What Can IFTTT Really Do For Me? Throughout the course of this guide, you’ll find numerous examples of what IFTTT could do for you depending on what specific profession/activity you’re trying to streamline. For the sake of this explanation, we are going to continue with the aspiring photographer How to Compose a Photograph: 5 Essential Rules to Follow How to Compose a Photograph: 5 Essential Rules to Follow If you want to get really good at photography, there are some vital rules around image composition that you should consider. Here are five of the most important. Read More example. So, we’ve decided that photography could become an amazing hobby and who knows, maybe even become a full-time activity later on. But let’s not get ahead of ourselves. For right now I want to see how we can keep ourselves excited and inspired by our newly-found passion. Here are some photography-related hacks you can set up with IFTTT in about 5 minutes. The example: Imagine that you’re walking near a park. All of a sudden you spot a potential photography idea right in front of you. What do you do? You take out your mobile device, shoot with your Instagram app and use IFTTT to automatically save the shot to your Dropbox account. No manual selecting and manual uploading. Create beautiful images — IFTTT will take care of the upload in the background so that they are accessible on your computer later. The example: Your photography is evolving, you’re getting a lot of fans and even more likes on your photos, but you will still need the inspiration to keep going. Using this recipe, you will be able to go about your day and use Instagram like you usually do, but with an additional benefit. Whenever you add a new picture to Instagram with a specific hashtag, it will automatically be uploaded to your Dropbox. These are only two of the thousands of practical Applets that you can create using IFTTT. The brilliant thing about IFTTT is that it has something for everybody. As of this writing, there are tons of different services that you can use for creating Applets and the list is always increasing. Furthermore, the team has already written a couple of articles expanding upon why you need to use IFTTT. You can find them here, here and here! Let’s go over the basics of how IFTTT works, then dive into examples. You are connected to your apps and devices. But, how many of those interact with each other? IFTTT is the free bridge that makes each app, service, or device talk to each other and chunk different tasks for better productivity 8 Geeky Tasks You Can Chunk Together for Boosting Your Productivity 8 Geeky Tasks You Can Chunk Together for Boosting Your Productivity Multi-tasking is an attention killer. "Chunking", is a different kind of multi-tasking. It's not new, and has existed under the geeky term of batch processing for a long time now. Read More . Let’s get on that bridge and see how it works. A service is just what it sounds like, a tool, application, or facility that works with IFTTT. The brilliant thing about IFTTT is that its variety of channels allows it to offer something to everybody. The list of available services is enormous and more are added all the time. Some of the most popular services include Facebook, Twitter, Instagram, YouTube, SoundCloud, Dropbox, Evernote, and Pocket. You can also browse services for weather, smart home controls, clocks, electronics, and many more! Applets are what make IFTTT worth your time. Basically, they are the combination of services that use a trigger and an action. When something happens on one service, it triggers an action on another. Confused? Don’t be, it will all make sense. Just know that Applets are formulas you set up deciding which triggers will prompt which actions. 2.3 How Do I Create an Applet– A Quickstart Guide. Glad you asked! Making Applets is a snap with IFTTT. Then, when you click on Sign up, you have a few different options. You can create your account with Google, Facebook, or an email address and password. After a few seconds, you’re done and will be taken to the basic IFTTT information page. But, we mainly want to get right to the action by creating an Applet. The first step is to click My Applets and then New Applet. Next, click the word This. Now you will choose your service for the trigger. Next, you will need to select a service for the action. Here, we’re going to select Dropbox and activate it just the one time. After doing this, we will be greeted by the second batch of actions. We’ll select the first one and be asked to complete the fields. In this case, it’s asking us where to grab the photos, how to name them and where it should put them. All you have to do is click on the Add ingredient, make your selection from the drop-down box, and hit the Create Action button. Finally, you will be asked to review your Applet. You can optionally enable notifications when the Applet runs. Then, click Finish. The entirety of this process takes just a few moments and it will be incredibly useful to you. 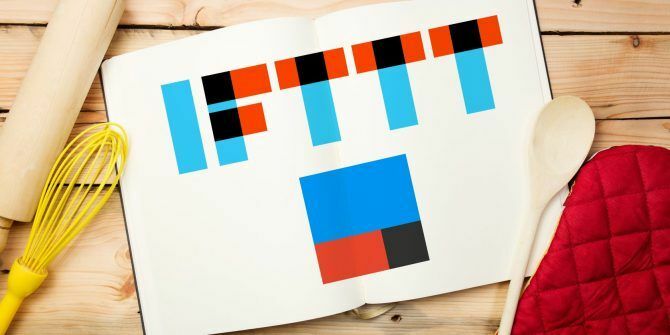 Plus, if you get good at creating Applets and even enjoy it, IFTTT offers a program called Maker IFTTT Now Connects to Anything: Introducing the Maker Channel IFTTT Now Connects to Anything: Introducing the Maker Channel The potential uses for IFTTT are endless. But until now, it's been difficult to interface it with your own hardware projects. Today, that's all changed. Read More . This free tier gives you access to templates and additional tools for creating more sophisticated Applets that you can publish for other users. But, for most of us, there is an even simpler way to add Applets to your inventory. How? Just keep reading. 2.4 Can I Use Pre-Made Applets? Yes! In fact, you can browse other people’s Applets, view options by category, check out collections, look at recommendations, or do a search if you are looking for something specific. And, using existing Applets is easier than creating your own. Just click on an Applet to review the details, and move the slider to turn it on. Depending on the Applet you choose, you may be asked to connect an account like Facebook or configure pieces of the Applet like date and time. But, this is all very simple and self-explanatory as you move through the process. Now we ride into the sunset. Or, alternatively, we can play with our newly found superpowers! Believe me, after a while of using IFTTT, you truly feel like you are a productivity superhero. Not only that but when other people see how everything works smoothly in your world, they’ll want to get in on the action too, which only makes IFTTT better! The number of possible creatable Applets is almost endless and rising! Don’t let this overwhelm you though. IFTTT can be as simple as it is useful. IFTTT is six years old as a service. Applets were called “recipes” earlier. But, the value of these tiny programs has only got better with time as more apps and services work with it than ever before. Think smart homes, Alexa, Google Assistant, and fitness trackers now to realize the countless possibilities. So, we dug deep and selected some of the top applets you can personalize for your own use right now. Regardless of what you’re trying to accomplish with IFTTT, these are some of the best Applets available. I highly recommend you check them out if you want to automate your online life with simple recipes 10 Great ifttt Recipes To Automate Your Web Life 10 Great ifttt Recipes To Automate Your Web Life We’ve already introduced you to ifttt in a previous post and there have been several improvements made and new channels added to the web application since then. Automation and synchronization are two points that have... Read More . The result: You get IFTTT to send an SMS each morning telling you what the weather conditions are going to be for the day. What it’s good for: Know if you should carry an umbrella around or if you don’t need that blazer after all. The result: You get a call at a time of your preference with an automated message. What it’s good for: We’ve all been in a situation when an alarm clock didn’t do the trick. This could set an end to late arrivals and people who don’t like Johnny/Jenny-come-lately, which can be a large number of your friends, family and work colleagues. The result: When you mark an email with a star on Gmail, a copy of it is sent to your Evernote account. What it’s good for: Set up appointments and store important emails. This is extremely useful, especially in the long run. The result: NASA is well-known for many things, not the least of which is their stunning photographs of our galaxy. Set this up and you’ll get an amazing photo in your email every day. What it’s good for: These photos are awesome and give you a better appreciation of our universe and all that it holds. The result: You get a friendly reminder via text of the events you’ve set up in your Google calendar. What it’s good for: Avoiding missing important meetings and events. If Woody Allen is to be believed at all, 80% of success is showing up. The result: We’ve all lost our phone before. With this Applet you get a call when you send an email to the specified address, helping you hear where it is. What it’s good for: You don’t need to miss a heartbeat when you realize you have lost your phone. The result: Your account sends a tweet every day at a time you choose. What it’s good for: Say hi to everyone in the morning or just before winding down for the day. It lets you post a quick tweet with no extra effort. The result: With the demise of Google Reader, Feedly has positioned itself as one of the most popular RSS readers in existence. You’ll get a random article from Wikipedia delivered to your Feedly feed each day. What it’s good for: Increase your knowledge daily. Come up with random facts and impress friends as a nice side perk. The result: Your Foursquare check-ins will be logged to your Google Calendar 5 Unusual IFTTT Recipes You May Not Have Thought Of 5 Unusual IFTTT Recipes You May Not Have Thought Of You've got the folks at IFTTT who make web automation look like childs play. It's quite impressive. I decided to finally start digging through IFTTT to see if I could come up with a few... Read More . What it’s good for: Knowe exactly where you have been and at what time. If you leave this one on for a while and check it back, it almost feels like time travel. It’s great for nostalgia and to remember places. The result: You get an email whenever IFTTT has an announcement. What it’s good for: Keep up with one of the most easy-to-use, yet cutting-edge Internet tools of the modern world. I highly recommend you do this. Apps can make you smarter about saving money. You can become a smarter shopper, but also set up applets for quirky ways to conquer your wishlist 7 Awesome Christmas Presents for IFTTT Geeks 7 Awesome Christmas Presents for IFTTT Geeks With Christmas just around the corner, let's look at seven of the best IFTTT-enabled devices you can buy for your loved ones. Read More . The result: You get an email whenever Amazon adds an album to their free MP3 list. What it’s good for: Get new music legally and for free! The result: You get an email notification whenever there’s a new posting on Craigslist for a search term that you specify. What it’s good for: Hunting down all sorts of goods and services. Get an email when someone posts a listing for a car, a phone or maybe even real estate. Whatever you can think of is pretty much possible to hunt down with this Applet. This will definitely give you an edge if you’re the bargain-hunting type like me. The result: You get an email when Amazon adds a new book to their top 100 free eBooks list. What it’s good for: Reading for knowledge is the best. 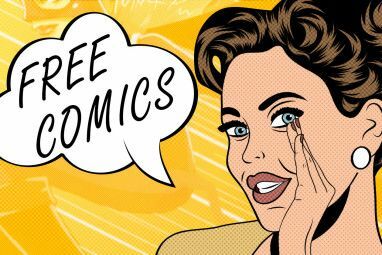 Reading something for free, legally, is even better. The result: You get a push notification the morning of the last day of the month to pay your rent. What it’s good for: Avoid having the landlord on your case yet again with this Applet. This is also good for avoiding penalties due to late payments. The result: If you have any kinds of investments on the stock market or would like to keep a close eye on a particular stock symbol, this will send you an SMS with information about it. What it’s good for: Making money. If you’re on the hunt for new purchases, want to expand your portfolio or just need to keep an eye on a particular stock, this will be great for you. Applets and relationships? Sounds improbable till you figure out that the best relationships are about better communication. A bit of work on your interpersonal skills and reminders at the right time 12 Apps To Help Forgetful People Remember Things 12 Apps To Help Forgetful People Remember Things Organization can prove tricky for forgetful people. From recalling birthdays to putting faces to names, here are 12 awesome apps that can help you remember pretty much anything. Read More can go a long way. The result: You simply tell Google Assistant to save an appointment to your Google Calendar. What it’s good for: Keeping things organized and saving some time. Plus, you can add details like duration and location. The result: A message is posted automatically for you on the morning of Christmas on Facebook. What it’s good for: Making people think you’re awake on Christmas morning, when you really have an eggnog hangover. The result: This one is exclusive to people with access to iCloud. You get an email with the contact info of the people that you add to your contact list. What it’s good for: Keeping track of the people you meet. The result: Get a reminder at a date of your choosing before someone’s birthday through an SMS message. What it’s good for: Keep the people who you care about happy and avoid divorce fillings due to emotional negligence. The result: This applet posts content from Google Alerts into the popular service Buffer, which schedules a steady stream of content to your readers. What it’s good for: If you’re part of a group that shares a common interest or just would like to keep people updated on a topic that you’re into, this will be very useful to you. There are umpteen tools to streamline your job search. Throw IFTTT into the mix and it can do a lot of the heavy lifting for you. Applets can turn into automatic bots for your job search This Simple Process Will Make Your Job Search Insanely Productive This Simple Process Will Make Your Job Search Insanely Productive There's a simple process you can employ that will make your job search via social media insanely productive, and hopefully land you that coveted job you've always wanted. Read More . The result: Whenever a job is posted on Craigslist, you get an email notification. You can save time and cater to jobs you’re interested in. What it’s good for: Being on top of the latest job postings on Craigslist. Sending your resume before everybody else also gives you an edge. The result: You call a number with a message, which is then posted to your Evernote account. What it’s good for: Keep track of job leads or set up reminders to follow up with a potential employer. The result: You get Craigslist posts saved to your Evernote account. What it’s good for: You can collect job leads and categorize them for easier follow-up. The result: Indeed is a job search engine. When they post a job you could be interested in, you get an email. What it’s good for: Get even more job leads as Indeed is a pretty wide aggregator of job listings. The result: You get a text notification when you get a job offer. What it’s good for: You got the job! Now celebrate like a proper gentleman/lady. Your online social life can eat into your real social interactions. There are online tools like Buffer and Hootsuite which help you out. But, consider IFTTT too because you can finetune any applet and automate your social life for free Why Automating Facebook and Twitter Posts Isn't Always Very Smart Why Automating Facebook and Twitter Posts Isn't Always Very Smart Services such as IFTTT enable you to do many of your social networking or control smart home devices automatically. Unfortunately, when the two are combined, disaster can strike. Read More though that may not be always a smart option. The result: All the photos in your Facebook feed are saved to your Dropbox account. What it’s good for: Backup. Avoid losing those precious memories if Facebook goes down for whatever reason. The result: Your Facebook status updates are also tweeted. What it’s good for: If you have your social sites fragmented, this can be a good way to let everyone know what you’re up to. The result: This one will back up your iCloud or iOS contact list to Google Drive. What it’s good for: Avoid losing your contact list and valuable information. It’s a simple backup but worth your time. The result: If you are tagged on a photo on Facebook, this Applet will download those photos to your Dropbox. What it’s good for: Helps you keep track of the photos you appear in. This is a nifty way to curate memories. The result: Your Facebook updates are saved as an Evernote document. What it’s good for: Keep track of what you say on Facebook. This will create an automated diary for you! The best thing about technology is that it gives you the tools to become a better version of yourself. For instance, you can use automation to collect knowledge 7 Easy Ways to Quickly Automate Your Learning with IFTTT 7 Easy Ways to Quickly Automate Your Learning with IFTTT You don't need to go out in search of learning. You can set up a system to ensure that the right resources find their way to you automatically. Here's the time saving secret. Read More from diverse corners of the web. The result: You get the amazing posts from MakeUseOf sent directly to Instapaper. Instapaper is basically a “read it later” service available for mobile platforms like Android, iOS, and Kindle. What it’s good for: Keep up with the latest tech posts from one of the best sites in the whole wide world! The result: You dial the number and it automatically transcribes the message and sends it to you through email. What it’s good for: Note-to-self-type messages. Also, feel like a ninja. The result: You get an email whenever AppShopper detects a new iPad app is free. What it’s good for: Save money and discover new apps. This is one of my favorites. There’s also a specific feed for iPhone if you’re interested. The result: This one saves the URL of your favorite videos on YouTube to your Dropbox. What it’s good for: Depending on how long you’ve had your YouTube account, you probably have more than a few dozen videos on your favorite list. This will allow you to keep track of them and organize them properly. The result: You get a file from Dropbox into Box. What it’s good for: Even if Dropbox was not originally intended as a service used for backup, that’s what a lot of people use it for. This can serve as a redundant backup in case one of your files goes missing. It can be a lifesaver. Spotify and other streaming sites have made music discovery a simple affair 8 Ways to Discover Popular Music Around the World 8 Ways to Discover Popular Music Around the World While it's easy to know what music is popular in your own country, what if you want to discover what's popular in other countries around the world? Read More . But, nothing can supplant the feeling of coming across a great tune and sharing it with the world. The result: You get an email with music whenever Amazon posts new free releases. What it’s good for: I had posted this in the first list, but I really can’t recommend it enough. I have discovered a lot of amazing artists through this particular Applet that I would have otherwise missed. The result: When you use your SoundCloud account to “like” a track, it gets saved to your Dropbox account automatically. What it’s good for: Get all your best newly discovered music on your Dropbox. However, it’s very important that you note that this one can be hit and miss. It will only get the MP3 file if it’s available for download, but you always get the URL at the very least. The result: Whenever you like a new song on SoundCloud, the details will be saved to the Evernote notebook of your choice. What it’s good for: Keep track of tunes you enjoy all in one spot. The result: When you use SoundCloud to favorite a track it’s posted to Facebook. Instantly. What it’s good for: Let your friends and family know of new music that you’ve enjoyed so that they can enjoy it as well. The result: When you like a song on SoundCloud, a tweet will be sent on your behalf stating so. What it’s good for: Pretty much the same as the last Applet, except for Twitter. Click a photo. It takes a couple of seconds. But, the task of optimizing that photo and sharing it with the world, or just backing it up can eat up the clock. If you are just starting out with the photography habit 8 Easy Ways To Get Started With A Photography Habit Today 8 Easy Ways To Get Started With A Photography Habit Today Each day can be a new beginning. A hobby like photography also needs the discipline of a habit, and you can give it an extra motivational push with the help of the Web. Read More , consider these applets to shave off some time. You can go manual later. The result: This saves the photos from your iOS device to your Dropbox. What it’s good for: You can keep a clean record of the photos you take for post-processing or just general backup. The result: The photos you post to your Instagram also get posted to a Facebook album called “Instagram”. What it’s good for: Even though Facebook acquired Instagram last year, their integration has been mostly lacking. This Applet will fix that, keeping your photos visible on both streams at all times with no extra hassle. The result: Your Instagram pictures get archived to your Evernote account. What it’s good for: An extra backup. The result: Your Instagram pics are also posted on your Tumblr account. What it’s good for: A large number of the people who are on Instagram are also on Tumblr. If you’re a user of both these services, this one will do the dirty work for you. The result: Your new Tumblr picture posts are set up as your Mac or Windows screensaver using Dropbox. What it’s good for: This applet can inspire you with your own best shots on demand. It’ll get your creative juices flowing. Communication and collaboration are the pulse and heartbeat of any office. The right app can automate a lot of the boring tasks 10 Productivity Bots to Automate Tasks and Save Time 10 Productivity Bots to Automate Tasks and Save Time Whenever a repetitive task follows a pattern, consider automating it. Artificial intelligence (AI) bots can learn these patterns and save you time. Read More . IFTTT is a “bot” too. The result: When you send an email with an attachment, it’s saved to a Dropbox folder. What it’s good for: This one is especially useful for people who have had the experience of accidentally deleting an important email or document. Use this with Gmail and also save the attachments you receive. The result: When you label an email as “Evernote” a copy will be sent to Evernote. What it’s good for: Keep track of important emails and conversations. The result: When you post a tweet with the tag #LI, this will post that same tweet to your LinkedIn account. What it’s good for: Easily share professional tweets with your LinkedIn network. The result: Set up a Gmail auto responder message. What it’s good for: Yes, I know that Gmail has its own “out of office” system, but it’s very limited. This Applet gets around most limitations. Give it a try! The result: A Trello card is added to your board every month. What it’s good for: Recurring projects, tasks, or lists that need to happen on a monthly basis. It’s all about time. And, every busy parent wants every bit of it. Let IFTTT lend you a hand with these workarounds. The result: Get notified through Evernote whenever a new book is posted to Kindle’s free Child Book’s list. What it’s good for: Getting the latest free books for your toddler, on demand. The result: Get a text message reminding you of the upcoming birthday of your children. What it’s good for: Very few things are more gratifying to a child than being celebrated on his or her special day. Avoid unintentional slips and make the young ones feel special. The result: Get an email whenever The Blooming Child website posts new content. What it’s good for: The Blooming Child site is among the most popular parenting resources. Increase your parenting knowledge by receiving these automated emails. The result: Saves your Facebook posts in a document and saves it to Dropbox. What it’s good for: Parents, you know how often you post your little one’s accomplishments and funny sayings to your Facebook. This will allow you to go through said gems whenever you want. The result: Get a direct message sent to you through Twitter when a new item appears on eBay. What it’s good for: Buying the perfect gift! This Applet can be easily adjusted to match whatever item you have in mind that appears on eBay. It can also be adjusted to work through SMS, email and lots of other IFTTT channels easily. These IFTTT applets will help you stay on top of the information that matters to you. In fact, IFTTT started a special Data Access Project which supports a broad spectrum of governmental and federal information news outlets. For instance, get an SMS when the State Departments issues a travel alert. Check them out before you jump into the more entertaining applets below. The result: Get new videos from channels you subscribe to on YouTube sent directly to Pocket. What it’s good for: Sometimes you don’t have time to keep up with all the news that happens around the world. This will ensure that you get all the videos from channels you love so you can watch them later. The result: Get a copy of your favorite Pocket items into Evernote. What it’s good for: Some articles require double or triple readings for inspection and/or comprehension purposes. This Applet will allow that to be done seamlessly. The result: When you get a piece of content added to Pocket, it also gets sent to Instapaper. What it’s good for: If you use both of these news app, make sure that you don’t miss anything using this Applet. The result: When you mark an item as a favorite in the Pocket app, a tweet is created linking to that particular piece. What it’s good for: Keeping your followers on the loop easily and letting them know what you like to read or what you agree with. The result: The content from a specific Instapaper folder gets automatically sent to Kindle. What it’s good for: Keep up with all the latest news, regardless of what kind of news you enjoy. Just use this Applet and you’re all set! To make sure you can add and edit your Applets on-the-go, get the IFTTT mobile app for Android or iOS. Along with controlling your existing Applets from anywhere, anytime, you can also add or create those specific to your needs. Here are just a couple of examples. The result: Every time you miss a phone call on your Android device, a task is added to the popular to-do app, Remember The Milk. What it’s good for: You will never forget to return a phone call, whether business or pleasure, when you use this handy Applet. The result: When you leave a certain location, you receive a notification to turn off your Wi-Fi. What it’s good for: Conserve your battery by turning off Wi-Fi when you leave a specific place on the map like work, school, or home. For doing more with mobile, check out how to use IFTTT to automate your Android phone 10 Great IFTTT Applets to Automate Your Android Phone 10 Great IFTTT Applets to Automate Your Android Phone IFTTT connects a ton of services to automate everyday tasks. Here are 10 great IFTTT applets to supercharge your Android device. Read More . If you decide that you no longer want to use IFTTT and want to deactivate your account, it’s easier than you probably expect. Visit the site on the web, click the arrow next to your username at the top, and select Settings. Then, scroll to the bottom of your profile and click Deactivate your account. You will then be asked for optional feedback and must enter your password to continue. Click Deactivate account when you finish. Just note that this is a permanent action and cannot be reversed. So, be sure you want to deactivate your account before hitting that button. You may want to turn off a specific Applet for a short time or simply delete one altogether. You can do both of these things quickly and easily. Choose My Applets from the top navigation to view all active applets for your account. To disable one, select it, and then click the slider to turn it from On to Off. If you prefer to remove the Applet completely, for example, maybe you deleted the application it was using, this is just as simple. From the My Applets page, click the gear icon at the top right of the Applet. Then, just scroll to the very bottom of the Applet and click Delete. You will be asked to confirm the deletion, so click OK if you are sure. You may be asked for feedback after the deletion that you can complete or click No thanks. What Do You Use IFTTT For? IFTTT is an amazing tool that you can use for a large number of practical and even fun uses How These IFTTT Tricks Can Help You Shop for Anything Online How These IFTTT Tricks Can Help You Shop for Anything Online Put IFTTT to work as your shopping assistant. This awesome application, available online and on mobile devices, can do multiple things to help you shop and grab the best deals. Read More . Getting started with IFTTT is extremely simple, yet enjoyable at the same time. As you get acquainted with IFTTT, you’ll start to notice the numerous possibilities for Applets that you’ll begin to come up with. This guide serves as a compilation of all the best Applets created for you to play with, modify and use to your own advantage, but there are still many others on the horizon. Also, all the Applets used in this guide are available for you to use right this moment. Just take your pick and enjoy the benefits. With the right applet, you can save money IFTTT Recipes That Help You Save Money IFTTT Recipes That Help You Save Money IFTTT can be used to do nearly anything, and saving money is no exception. Here are some of the best recipes to help you live more frugally. Read More , get a job, find a new car, have a better social life, be a better parent, stay informed or just simply become more efficient 13 Wacky Ways to Beat Procrastination With IFTTT 13 Wacky Ways to Beat Procrastination With IFTTT Squeeze more out of your work time. Solve the productivity puzzle by keeping distractions and procrastination at bay with these smart IFTTT recipes. Read More as a person. The possibilities are enormous but possible and even amusing to consider. Have fun! Tell us about your favorite applets. Maybe, all of us can use it too. Explore more about: Computer Automation, IFTTT, Longform Guide, Productivity. It is still gobbledydoc to me. Take the following example: I think the 'switch on your phone when you come home app'. OK I give in my location and switch the app on. Really love this, especially for sending RSS feed updates to my social media channels However, one of the feeds uses a default image. Do you know if there's a way to make it use an image of my choosing? The recipes using amazon rss feeds for free kindle books and free music don't seem to work. IFTTT tells me the rss feeds are invalid. 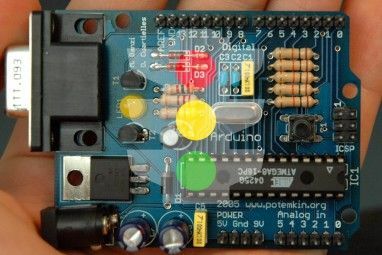 Totally agree, IFTTT, a hub, sensors, you can get Arduino into the mix too. The examples the article were so-so at best. Also, this feels really complicated. I think I got a headache by reading this, I know I'm old school but I rather just stick to the method of using hootsuite and calling it a day.